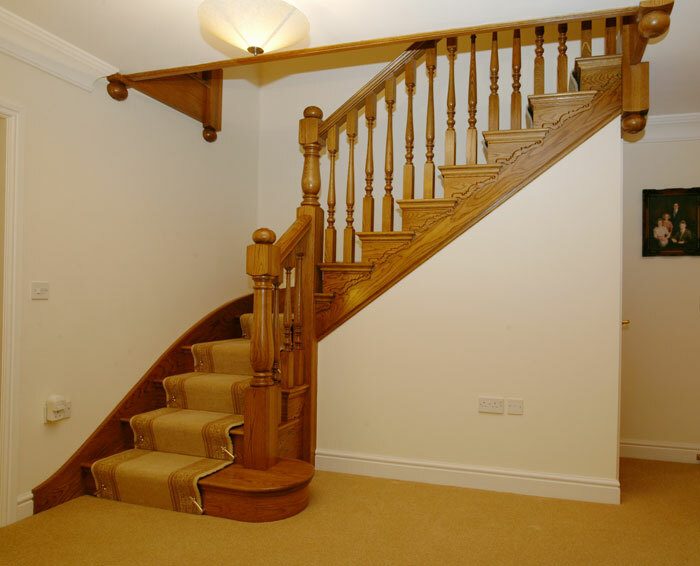 Staircases are usualy a Focal Point in any House Ideas for you. 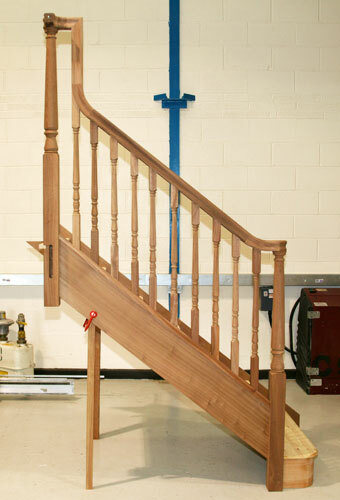 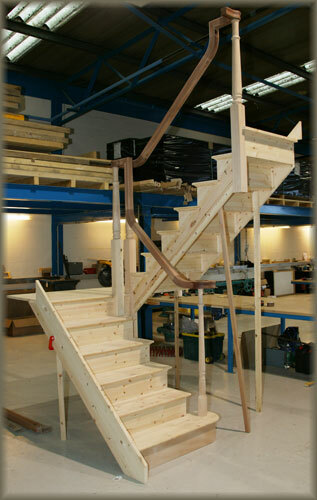 If you order your new staircase with continuous handrail you have the option of have the handrails pre-cut and jointed at the point of manufacture, whatever sort of handrail and newel posts you plan having on your staircase it is more benificial for you to have the items pre-fitted at the time of manufacture. 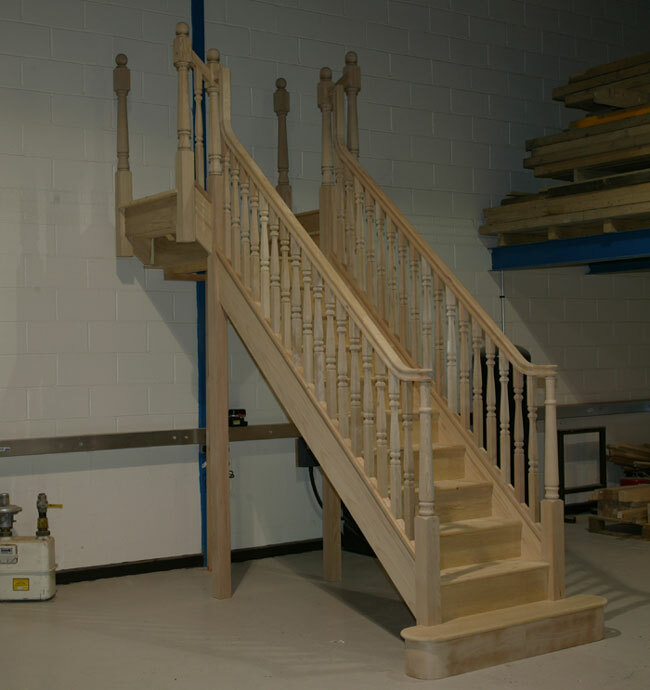 When Newel posts and handrails are fitted to the staircase at the point of manufacture the quality is far superior than what can be fitted on site and the saving in the installation time is days not hours. 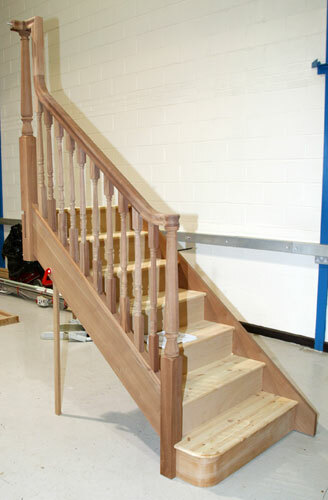 Here is a Cut String Staircase in Engineered Pine with a Hardwood Countinuous handrail. 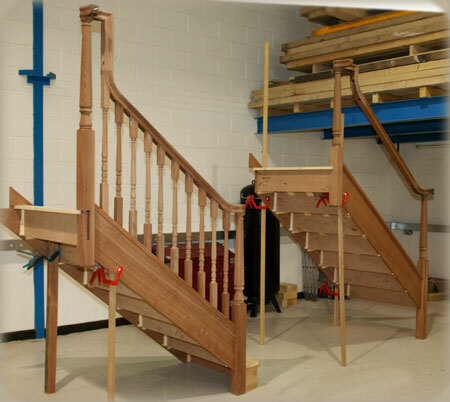 Here is a T-Shaped staircase, This one is manufactured with Parana Pine Strings (Closed Strings) and the Handrails, Newel Posts and Spindles are Hemlock. 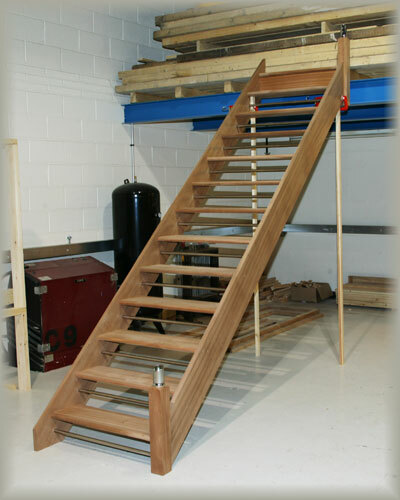 Open Plan flights are also a popular choice, you can see with this particular style we use a Stainless Steel insert bar, this is required to limit the space to less than 100mm in order to comply with Building Regulations. 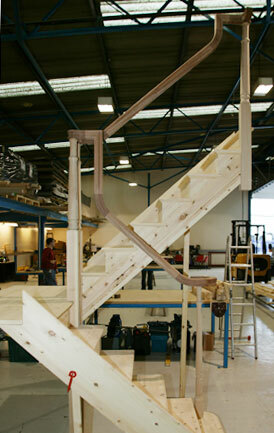 This is a Bespoke Contemporary handrail system we can offer, shown here in Ash.